Sterling Silver Love Ring Just $7.99! Down From $65.00! Ships FREE! Today Only! 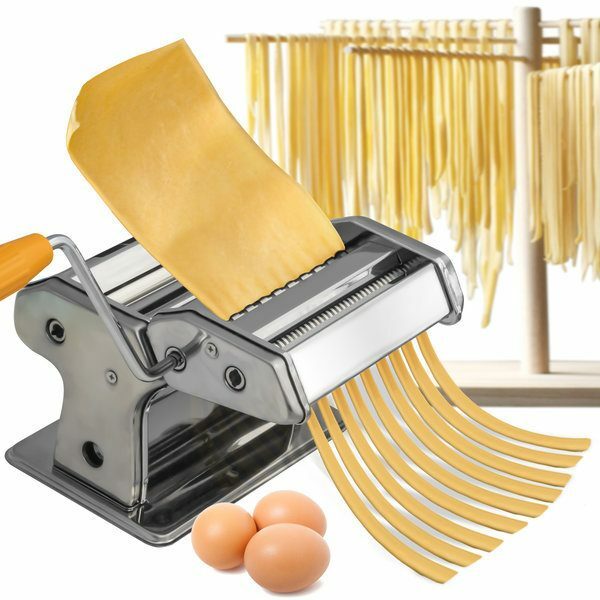 You are here: Home / Great Deals / OxGord Stainless Steel Pasta Maker Machine Just $22.99! Down From $99.95! Ships FREE! OxGord Stainless Steel Pasta Maker Machine Just $22.99! Down From $99.95! Ships FREE! Tanga has this OxGord Stainless Steel Pasta Maker Machine on sale for $22.99 (Reg. $99.95)!